With an election looming and the SNC-Lavalin scandal showing no signs of letting up, the Liberal government is expected to deliver a budget today that offers supports for seniors and skills training and sets the stage for a national pharmacare program. 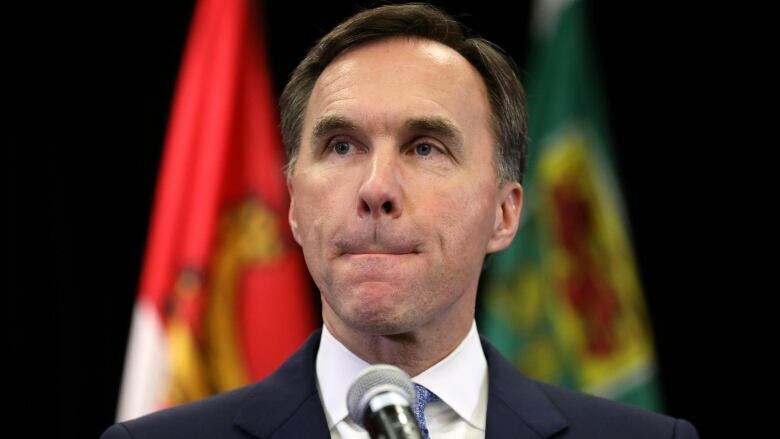 Finance Minister Bill Morneau's 2019 fiscal plan also is expected to introduce measures to help millennials and other first-time homebuyers get into the housing market. With a fixed election date set for Oct. 21, many of the multi-year funding promises could serve as campaign platform planks. Here's what to watch for when Morneau rises in the House of Commons to table the budget at 4 p.m. ET. The Liberals have long since abandoned their 2015 election campaign promise to return to budgetary balance by 2019, but many Canadians will be closely examining this year's bottom line and looking for a plan to get back to balance. The deficit projected for the current fiscal year — projected at $18.1 billion — is expected to be smaller than forecast. Aaron Wudrick, national director of the Canadian Taxpayers' Federation, said that with an election on the horizon and the SNC-Lavalin controversy still making headlines, he's not expecting a belt-tightening budget. Instead, he predicts a new burst of spending with no focus on cutting the deficit or returning to balance. "I expect they will try to frame further deficit spending as an investment necessary to boost or steady the economy," he said. "The problem with this argument is that they were also running deficits even when the economy was humming along. It can't always be time to run deficits and never time to pay them down. The math doesn't add up." Canadians are living and working longer, and this year's budget is expected to deliver measures to help seniors enjoy dignified and secure retirements, including possible supports for low-income older adults. The seniors' advocacy group CARP has delivered a budget wish list which includes pension protections and an awareness campaign to combat elder abuse. The group also has pitched changes to the caregivers program and home renovation credits to make them more senior-friendly. The Liberal government has promised to bring in a national pharmacare program — but don't expect to see a big-figure budget commitment to finance it this year. Instead, the government is expected to earmark "foundational" funding as it awaits a final set of recommendations from the Advisory Council on the Implementation of National Pharmacare. Linda Silas, a pharmacare advocate and president of the Canadian Federation of Nurses Unions, said she hopes the government will make "start-up" investments to follow up on the council's interim report. That report recommends creating a national drug agency, developing a comprehensive list of prescription drugs (a national formulary) to harmonize coverage, and obtaining data and information technology systems. "All of that, the start-up funds, can be done now and then within a year we could have the beginnings of a national pharmacare program," Silas said. She added making seed investments now would have the effect of committing future governments to a pharmacare program. Many Canadian employers have complained that they can't find skilled workers to fill their jobs, while many workers have complained they don't have the skills they need to adapt to a changing labour market. To that end, the budget is expected to bring in measures to help people take time for skills development and retraining while still paying household bills. CBC News has learned that the budget will introduce personalized accounts to help Canadians pay for lifelong learning and skills development. Hot housing markets have made buying a first home a pipe dream for many millennials, as the cost of home ownership relative to income continues to rise. In Toronto, the cost of owning a home will be 79 per cent of the median household income of $71,631 by the end of this year, up from about 76 per cent in 2018. Morneau has promised to make houses more affordable for millennials and other first-time buyers through various policy and regulatory measures affecting supply and demand. RBC chief economist Craig Wright said he isn't convinced this is a problem demanding a fix. He said while there has been a marked decline in the past decade, the home ownership rate among younger households remains high within Canada and compared to other countries, such as the U.S.